Back in the 1980s when drugs like Nexium, Prilosec, and Prevacid were first marketed in the United States, many physicians believed they could benefit their patients because the risk of using the was outweighed by the benefits. Growing scientific literature, including new studies published in 2016 in JAMA Internal Medicine and the Journal of the American Society of Nephrology, question that assumption. 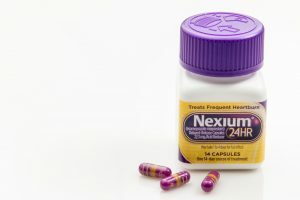 In fact, many patients are hiring lawyers and filing Nexium lawsuits — claiming that their use of these drugs has played a direct role in their development of advanced kidney diseases, bone fractures, and severe intestinal diseases like C. difficile that can be very difficult or impossible to cure. Nexium, Prilosec, and Prevacid are all prescription or OTC medications classified as PPIs – proton-pump inhibitors. Stated simply, they are designed to decrease the amount of acid being produced in a person’s stomach. While this may first sound like a great solution, you cannot always successfully alter body functions without creating new physical imbalances or side effects. In fact, once you decrease the body’s natural production of the stomach or gastric acids, you can directly cause other deficits – such as seriously decreasing the amount of magnesium levels in the blood – that can lead to kidney damage. Also, extended use of PPIs like Nexium can cause kidney tissue inflammation — referred to by researchers and doctors as acute interstitial nephritis. This approach to treating heartburn and excessive stomach acid can pose greater problems than encountered by prescribing drugs called histamine H2 Receptor Blockers — such as Tagamet and Zantac. Yet these other drugs can also lead to a host of other debilitating side effects that patients may want to avoid. Do the New Studies Establish That Nexium Causes These Side Effects? Is there “proof” that Nexium causes these problems. Honestly, experts differ. To be fair, epidemiologist Morgan Grams of the John Hopkins Bloomberg School of Health and others report that it isn’t entirely possible, without further studies, to clearly prove that using PPIs can cause patients to develop chronic kidney disease. Yet these same researchers do see strong indicators that using PPIs may increase serious side effects when patients are given excessively high doses (based on their individual health profiles/conditions) – or are kept on these drugs for unjustified lengthy time periods. Therefore, patients should be concerned about any drug side effects that can lead to serious kidney diseases since once these set in – long-term dialysis or a kidney transplant might become necessary. Those who believe they are suffering from chronic kidney disease (or other possible Nexium side effects) should review the long list of these ailments provided in the Food and Drug Administration’s Nexium Medication Guide. Should You Let Your Doctor Continue Prescribing Nexium? Let’s be crystal clear on this point: the decision to begin or continue using Nexium should be between you and your doctor. You and your doctor must determine if the short-term benefits of using this drug will outweigh any negative side effects that could develop. 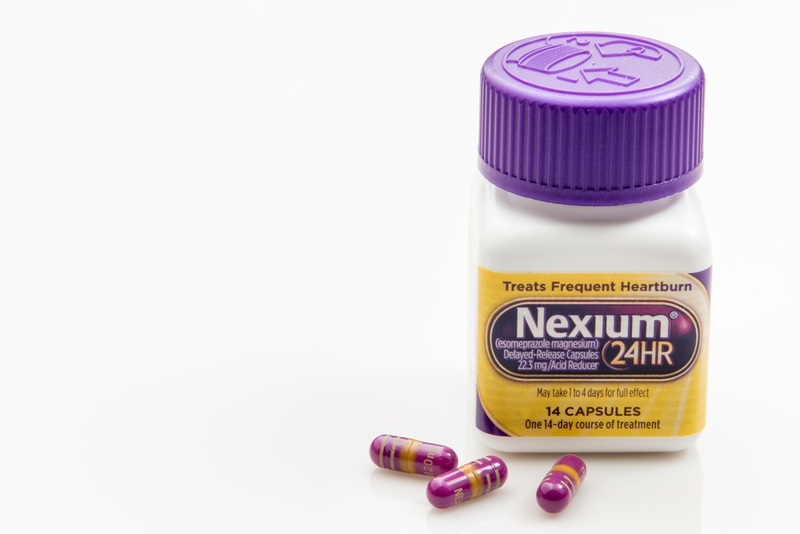 The new studies referenced above indicate that limited dosages of Nexium (taken just once a day) can help prevent more serious heartburn symptoms for some patients. When making this decision with your doctor, be sure to discuss the severity of the exact conditions or symptoms you want to treat. Not many people are arguing for a Nexium recall. What many patients and lawyers are arguing is that more information should be given so doctors and patients can make a more informed call. What Other Treatment Alternatives Can Patients Pursue? AstraZeneca, the company marketing Nexium, states that patients should avoid using this drug for any treatment purpose other than those clearly indicated on the drug label. Unfortunately, “off-label” uses of prescription drugs are rather common today. Therefore, your doctor must warn you about all possible drug side-effects for your safety. Whenever possible, trying taking as few prescription or OTC drugs as you can, depending on your own unique set of medical conditions. If you’re already taking Nexium, ask your physician if you can now slowly and safely decrease your use of Nexium without being adversely affected. In general, it’s often best to pursue lifestyle changes before taking any medication. Give serious thought to bringing your current weight under full control by giving up foods high in spices and fats – while never snacking on foods at night. If your heartburn persists, consider another pragmatic change — such as elevating your bed’s headboard on blocks that are six to eight inches high. You should also consider seeing a dietician who may ask you to record all that you’re eating. This can help you stop eating overly spicy or fatty foods as you search for equally enjoyable alternatives. If you are currently suffering from a serious kidney disease after taking Nexium for an extended period – or being prescribed rather high doses – you should immediately contact your personal injury attorney to see if a lawsuit should be filed on your behalf. You can reach us at 800-553-8082. You can also get a free on-line case review to find out whether you may be eligible for financial compensation.